The grand marble staircase is part of the 1902-1906 annex and leads up to the second level where the offices of the governor and lt. governor, with additional staff offices, are located. Access to the galleries of both legislative chambers is also located on the second level. The most important feature of the grand staircase is the painting of Washington Resigning His Commission, by Edwin White. Painted in 1858, the painting shows George Washington resigning his commission as commander in chief of the Continental Army on December 23, 1783 in the Old Senate Chamber. 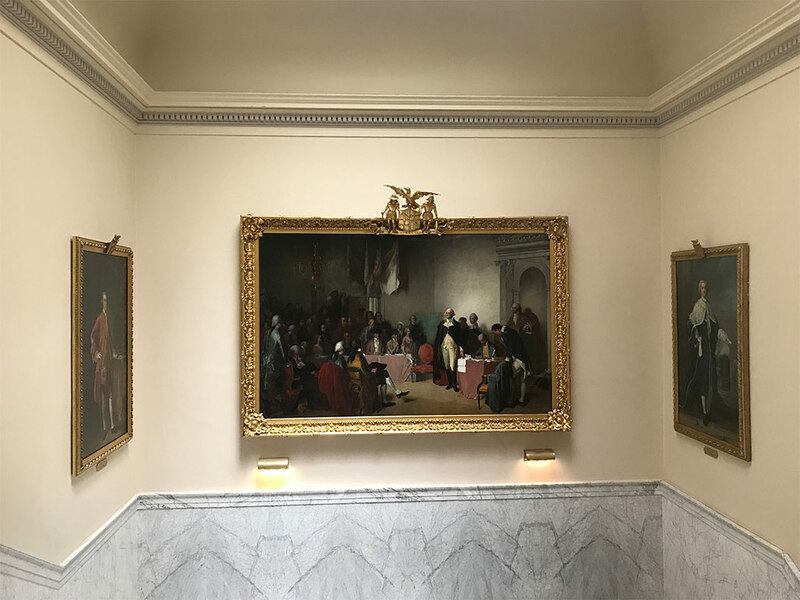 The portraits of Charles Calvert, Fifth Lord Baltimore and Frederick Calcvert, Sixth Lord Baltimore from the Enoch Pratt Free Library were installed in 2017.